LARENCORE: U.S : GREYHOUND is aiding in the separation of families and fueling the detention-to-deportation pipeline. U.S : GREYHOUND is aiding in the separation of families and fueling the detention-to-deportation pipeline. Greyhound is helping Border Patrol and ICE tear families apart. Call Greyhound and demand they stop allowing Border Patrol to conduct warrantless searches on their buses ! 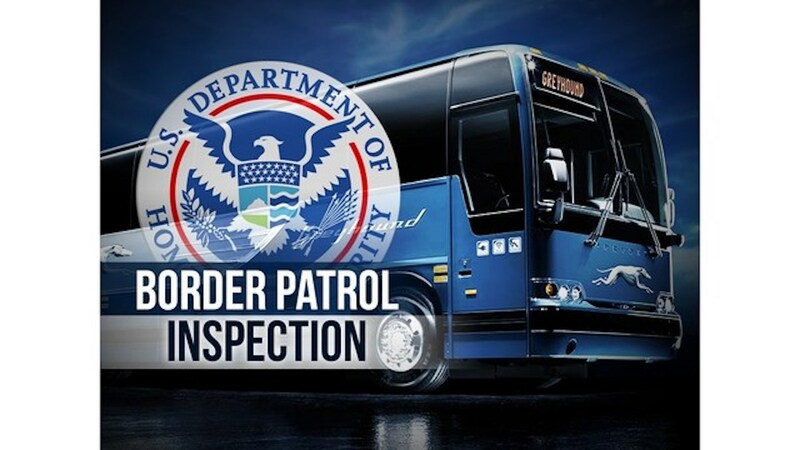 Greyhound is voluntarily allowing Border Patrol agents to board their buses so that they can racially profile passengers. In doing so, Greyhound is willfully exposing passengers to harassment and state sanctioned violence. Greyhound is allowing U.S. Customs and Border Patrol agents to conduct warrantless searches on their buses in order to check passengers immigration status, a tactic that is all too reminiscent of when we were required to carry “freedom papers” on our person at all times to move freely in public. With Trump ramping-up his anti-immigration policies and encouraging ICE to racially profile people, the consequences of these searches are becoming more and more dire. It is resulting in Black and Latin people being unnecessarily detained for days as well as fueling Trump’s detention-to-deportation pipeline that is tearing families apart. Greyhound has the legal right and the responsibility to stop ICE agents from boarding their buses. Make a call: Tell Greyhound to stop helping Border Patrol. Greyhound needs to immediately change their policies and use their right to protect the people on their buses. Call Greyhound and tell them to stop aiding Trump’s deportation machine! Border Patrol is disproportionately targeting Black and Latin passengers on Greyhound buses for immigration checks and detainment. Just last week it was announced that a Latino man in Washington state filed a $75,000 claim against Border Patrol after he was racially profiled, illegally detained and threatened with deportation while traveling on a Greyhound bus.4Earlier this year, Border Patrol agents detained a DACA recipient on a Greyhound bus and lied to him, telling him his DACA status was expired because “Trump took that away”.5 The actions of Border Patrol create a toxic and dangerous environment for Greyhound customers and by ignoring legal advice and allowing them to continue to carry out immigration raids, Greyhound is forcing their passengers into a detention-to-deportation pipeline.